Globally, the notion of Corporate Social Responsibility (CSR) is fast gaining acceptance as the contribution that businesses can and should make voluntarily towards environmentally sustainable and socially equitable development. Besides the usual financial reporting, ‘non-financial’ or ‘sustainability’ reporting is accordingly also fast gaining usage. 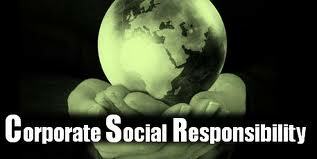 Stated briefly, CSR is about (i) taking stock of the economic, social, and environmental impacts of a business, (ii) mitigating the negative impacts and bolstering the benign impacts, (iii) taking up action programs and community investments to reduce social exclusion and inequality and to address the key sustainable development challenges. iv) Community investments by way of donations to initiatives of Civil Society Organizations (CSOs), NGOs and institutions involved in health, education and culture; for social and environmental improvement including nutrition, health and education in the disadvantaged population segments. Foreign banks in Bangladesh having structured CSR programs (in line with their home country practices) can come forward to usefully mentor the new, incipient CSR initiatives of local banks. Networking and joint initiatives in CSR programs among banks and financial institutions may be useful in some cases in devising more inclusive, comprehensive programs of necessary critical size. Reporting of the CSR initiatives can begin in a modest way as supplements to usual annual financial reports, eventually to develop into full blown comprehensive reports in the GRI format. Like the statutory financial reports, the CSR reports are expected to be available in the public domain for perusal by stakeholders. While adoption is voluntary and not mandatory, Bangladesh Bank shall monitor CSR adoption and CSR performance of banks and financial institutions, as an additional dimension of their management performance. Corporate Social Responsibility (CSR) by NCC Bank Ltd.
Of late Bangladesh Bank has made it mandatory for Banks to put due importance to CSR and taken institutional steps of monitoring such activities periodically. It is hoped that the Banks with their extra efforts on discharging social responsibility can bring positive changes in the society supplementing government’s efforts. NCC Bank ltd. gives top mosr priority in discharging its responsibility to the society. It has long history of discharging CSR and to give it an organized shape, the Board of Directors has set up ‘NCC Bank Foundation’ few years back through which various steps have been taken to fulfill CSR. NCC Bank Ltd. donated Tk.20.00 lac to Bangladesh Cricket Team for wining against New Zealand. The Bank donated Tk.50.00 lac to Muktijuddha Jadughar. The Bank donated Tk.4.80 lac to the family of late Col. Lutfor Rahman Khan, a victim of BDR carnage. This will continue for 10(ten) years. The Bank distributed blankets worth of Tk.5.63 lac in Patgram, Chilmari and Fulbaria area to help the cold wave affected people. The Bank donated Tk.25.00 lac to the victims of Nimtoli Fire buildings Collapsed at Bagunbari area. The Bank donated Tk.2.00 lac to Padakkhep’64 for the welfare of family in distress. The Bank donated aTk.10,000/- to the Distress Families. The Bank donated Tk.36.48 lac to financial assistance/stipend to the students of various educational institutes. The Bank donated Tk.6.00 lac to the President, ZontaClub, Chittagong Autistic Welfare Foundation, National Association for Disability Society for the Welfare & Chittagong Disable Development Society to assist in their social works. The Bank donated Tk.1.00 lac to Feni Zilla Samity, Chittagong. The Bank donated Tk.5.00 lac to Al Quraan Academy. Dhanmondi Unit. The Bank donated Tk.10.50 lac for purchase of Computer & Furniture for various educational institutes at different places of the country. The Bank donated Tk.5.00 lac Rozia Maksuda Trust. The Bank donated Tk.4.60 lac for financial assistance to various distressed people of different places of the country for Medical treatment. The Bank donated Tk.2.00 lac to National Heart Foundation, Feni. NCC Bank Ltd is a banking company incorporated in Bangladesh under the Banking Company Act 1991. Principle activities of NCCBL are according to the Laws. Paid up Capital of NCC Bank Ltd well above than required level in Banking Act. Paid up Capital is divided into ordinary shares of Tk.10.00 each. Any of the shareholders doesn’t hold more than 5% of all voting rights. General Reserve, Statutory Reserve and Cash Reserve are maintained as required in law. NCC Bank Ltd. has adequate capital according to Policy of Capital Adequacy. In case of Loan Classification and Provisioning , NCC Bank ltd. follows the Policy by Bangladesh Bank. NCCBL reschedules ‘Loans’ as per the guidelines of Bangladesh Bank. In NCCBL, classified loans are written off according to the policy by Central Bank. In case of service charges imposed by NCCBL, there are some deviations from instruction. Loans to the Directors or their relatives have been given according to the guidelines. According to the circular by Bangladesh Bank, NCC Bank Ltd. has credit rated itself regularly by Credit Rating Agency of Bangladesh (CRAB). NCC Bank Ltd. has been managing core risks by recognizing the guidelines by Central Bank. NCC Bank has taken necessary steps to form a subsidiary company for Merchant Banking. It has already a separate wing for share trading. NCCBL has been paying premium to Bangladesh Bank under ‘Deposit Insurance Act2000’. NCC Bank has taken necessary steps as ‘Anti Money Laundering Act’ to prevent money laundering. The Corporate Governance Practices in NCC Bank is according to the policy by BB. NCC Bank Ltd. has made significant efforts in Corporate Social Responsibility. Banking sector is a vital part for the economic development of a country. Bangladesh has made significant economic progress recent years where banking sector’s contribution is immeasurable. The Banking sector has been growing fast since the introduction of private commercial bank. National Credit and Commerce Bank Limited is one of the renowned banks in Bangladesh for its differentiated financial products and services. To regulate commercials bank regulatory bodies like _The government of Bangladesh, Bangladesh Bank, Security & Exchange Commission have imposed numerous laws and policies. All commercial banks are required to compliance with all the regulations. In this report, I have wished to present few selected issues of Banking Laws & Regulations and their practices in NCC Bank Ltd. I have assessed the present condition of NCC Bank Ltd. to compare with the requirements in laws & policies. The structural condition and activities of NCCBL as a commercial bank seems to be according to the rules & regulations. Although there are some lacks between NCCBL’s practices and requirements in laws. Some steps are required for NCCBL to recover these. The overall compliance made by NCC Bank Ltd. to the laws is satisfactory. Books, Publications and Journals of National Credit and Commerce Bank Ltd.
Abdul Kuddus Biplab, “Banking Company Laws Manual”, Shams Publication.